Political Bear, Eagle, Panda and more series is inspired by political satire and caricatures and its long tradition of using animals to represent various countries. At least from the beginning of 19th century Russia was typically depicted as a bear, USA as an eagle, France as a rooster, England as a lion, China as a panda or Nazi Germany as a snake. etc. I took those country representations out of their context and created new postcards, grouping them by animal types. Political Bear, 2017, series of 35 postcards, 5.5 x 4 inches each, 38 x 36 inches framed, unique. Political Eagle 2017, series of 24 postcards, 5.5 x 4 inches each, 42 x 22 inches framed, unique. Political Rooster 2017, series of 9 postcards, 5.5 x 4 inches each, 22 x 19 inches framed, unique. 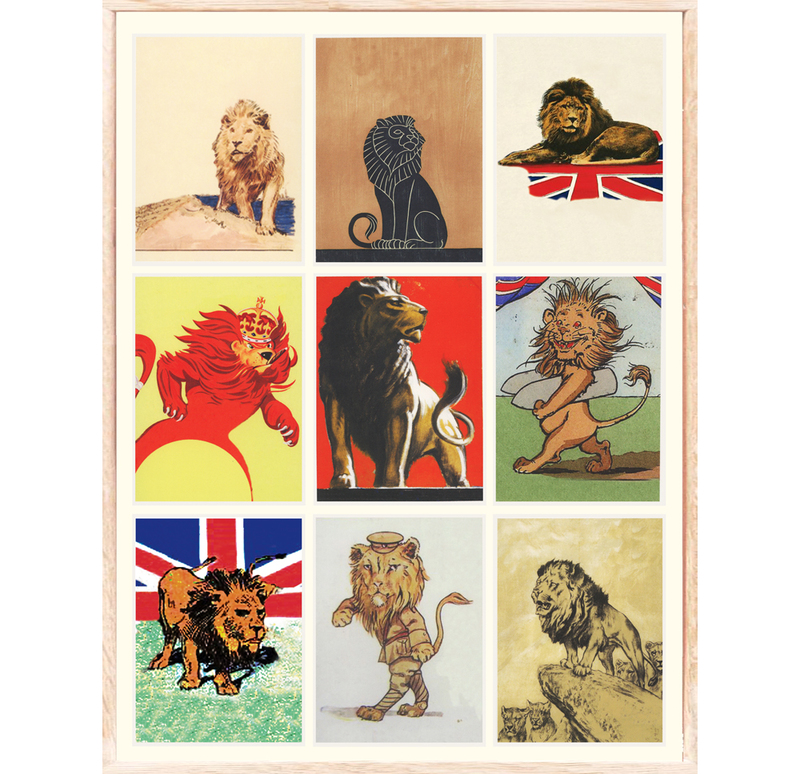 Political Lion 2017, series of 9 postcards, 5.5 x 4 inches each, 22 x 19 inches framed, unique. Political Panda 2017, series of 14 postcards, 5.5 x 4 inches each, 18 x 14 inches framed, unique. Political Snake 2017, series of 12 postcards, 5.5 x 4 inches each, 22 x 22 inches framed, unique.